Lac à la Fontaine… your time has come! …to enjoy an incomparable lifestyle in the heart of nature. 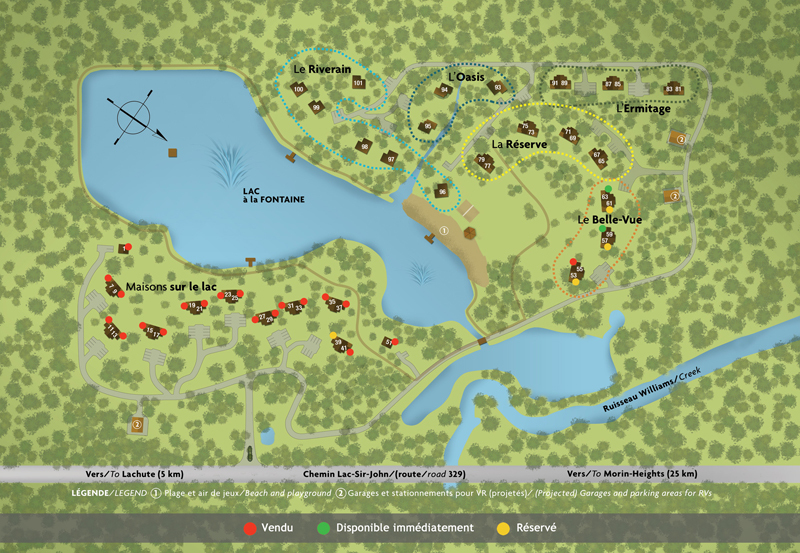 Even though conveniently located close to all services, and easily accessible from all main highways, Lac à la Fontaine fills you with a wonderful feeling of peace and balance the moment you set foot on the estate. …to come and go without any concerns . Our Maintenance Free concept gives you more freedom and more time to enjoy the good life. …with security and respect of your privacy. Our “Lock ‘N Go” concept is designed to keep your home secure at all times. At the same time share in the spirit, solidarity and common values of a community. …to be active! To participate in on-site sports like swimming, kayaking and paddle boating; to make the most of a large activity area and walking trails that magically become cross-country and snowshoeing trails in the winter… or to sit back and take it easy, read and relax, either on your own, with a loved one or with family or friends. Nature beckons… soak up the moment. …to create a living space that measures up to your aspirations. We offer a selection of different models and villa sizes to meet your particular space needs—both present and future. These unique living areas will have a remarkable effect on your quality of life. 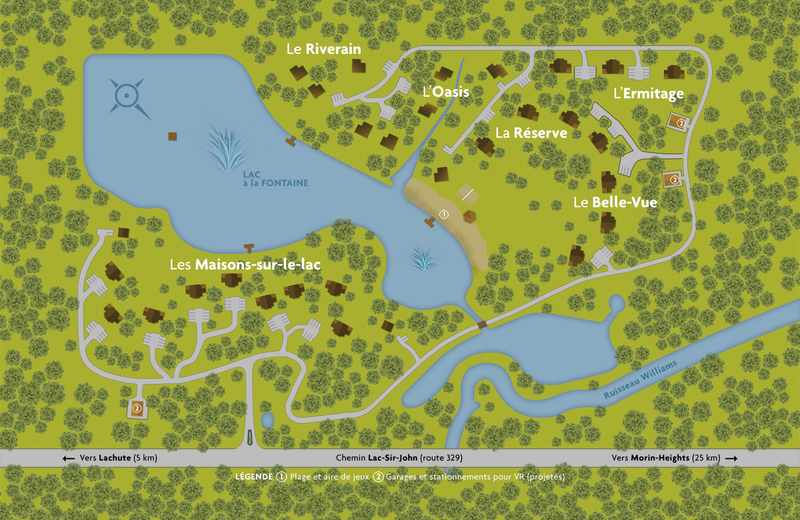 Life at Lac à la Fontaine is like vacationing all year long. At our sanctuary, your priorities are reorganized around spending your energy on what really counts: living life to the fullest. After all, you deserve it!